Caraway. Caraway is a Biennial or Annual Herb, which means that it blooms after the second year and then dies.It reseeds easily and can grow to be invasive if left unattended. 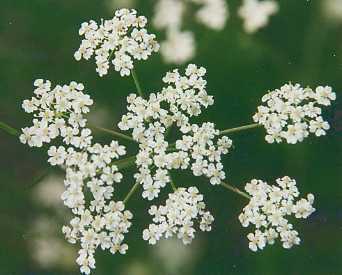 Seeds can be sown in the fall, which may cause the caraway plant to bloom during the first growing season. Caraway has long roots that can help break down heavy soils, which makes it generally a good companion for any shallow rooted plants. Companion planting caraway with strawberries will enhance your strawberry crop, and companion planting caraway with peas benefits both plants. Caraway also attracts beneficial insects such as parasitic wasps and parasitic flies. Catnip. Catnip is a hardy perennial herb that apparently deters flea beetles, aphids, Japanese beetles, squash bugs, ants and weevils. It is said to also repel mice as well. I don’t know this for a fact, but it would be nice if that were true. Catnip companion planting works well with beets, pumpkins and squash. Also growing hyssop and catnip together benefits both plants and the soft blue flowers of each makes a pretty border. When growing catnip from seed, sow seeds in autumn or spring in their intended place. If you prefer, Catnip seedlings can be started indoors or in a nursery bed. Once in place, catnip can grow for several years with only minimal weeding required. However, like most herbs in the mint family, catnip can spread and take overtake a garden if permitted to do so. 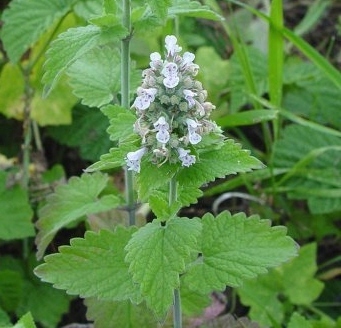 Catnip is considered one of the aromatic herbs but it has a skunk-like odor. Keep that in mind when you decide where to plant catnip in your garden. Chamomile. Chamomile is a perennial herb. Not very many insects will bother chamomile plants, and they repel cucumber beetles (so plant near the veggie garden). Also, Chamomile attracts hoverflies and wasps. You might sometimes find clusters of tiny aphids on chamomile but they are not much of a threat, and they are easy to spray off with the regular garden hose. Chamomile improves the flavor of cabbages, cucumbers, onions and leek, although keep it approximately 1 foot away from onions. Chamomile is an excellent companion for all in the brassica family and also wheat. Chamomile is good for the plants because it accumulates potassium, sulphur and calcium and returns them to the soil for the benefit of all plants around it. 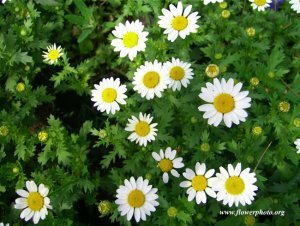 Chamomile is easy to grow, and looks beautiful, though keep it well trimmed to avoid a straggly look. It can be planted in sun or part shade. This type of herb is often grown in a pot to keep it from spreading but it also makes a nice edging plant. Chervil. (sounds like Gerbil? I like to think so) Chervil is an excellent companion plant for radishes, broccoli and lettuce, as it keeps aphids at bay. If you plant it with carrots, it improves flavor and growth. In fact, chervil increases and improves growth and flavor of most any vegetable or herb it is planted near (but avoid dill). Chervil prefers a moist, shady spot in the garden. It bolts quickly, so it is best grown in Spring and Fall. Sow chervil seeds close together. The crowded stems will help each other to stay upright. This method will also suppress weeds and the soil will not splash on the leaves. Try to plant in a location that enjoys partial sun or dappled sun and water moderately. 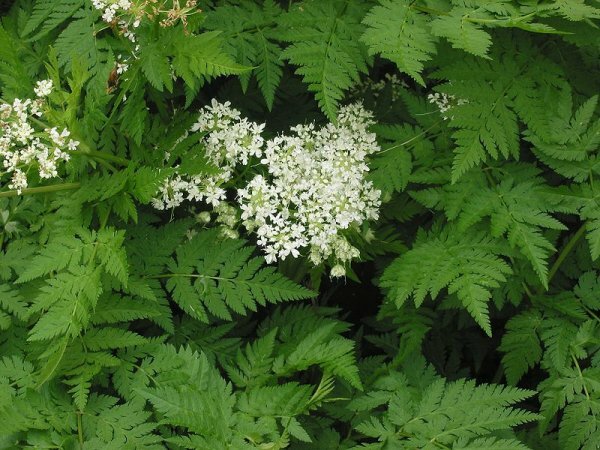 Chervil is considered “half-hardy,” so, although it can survive a small mild cold snap, it is wise to ensure that this plant is protected from frost damage. Next up, a few more companions for the garden. Who knew there were so many?!!!. . .
← What to Do, What to Do, for Bed No. 2? Oh, thank you so much. I really appreciate the feedback.